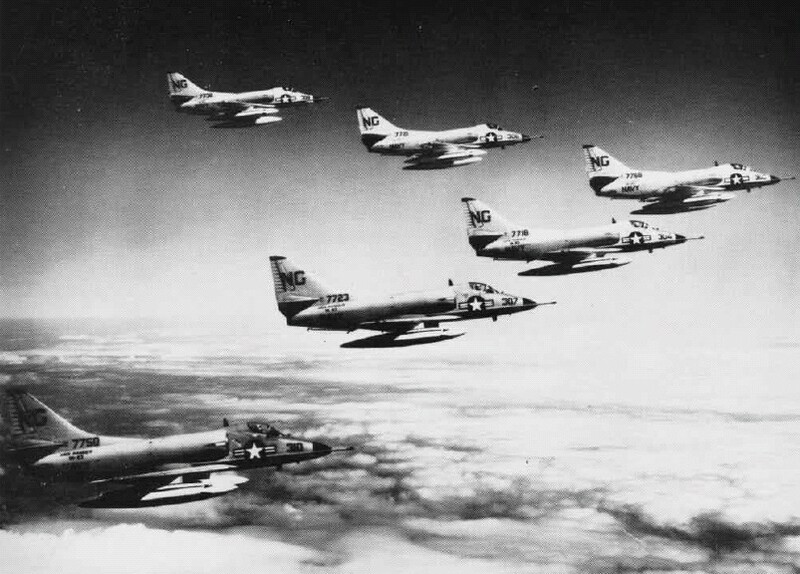 May 1963: Following the military losses of the Lao neutralist to the Pathet Lao in the Plaine de Jarres, Laos, Ranger (CVA 61) transited to the South China Sea to support possible operations in Laos. 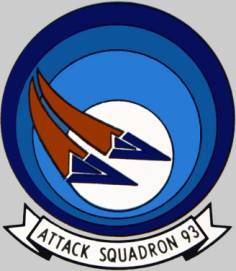 15 Oct 1963: The squadron established a Detachment Q for deployment aboard the anti-submarine carrier Bennington (CVS 20) to provide daylight fighter protection for the ASW aircraft. 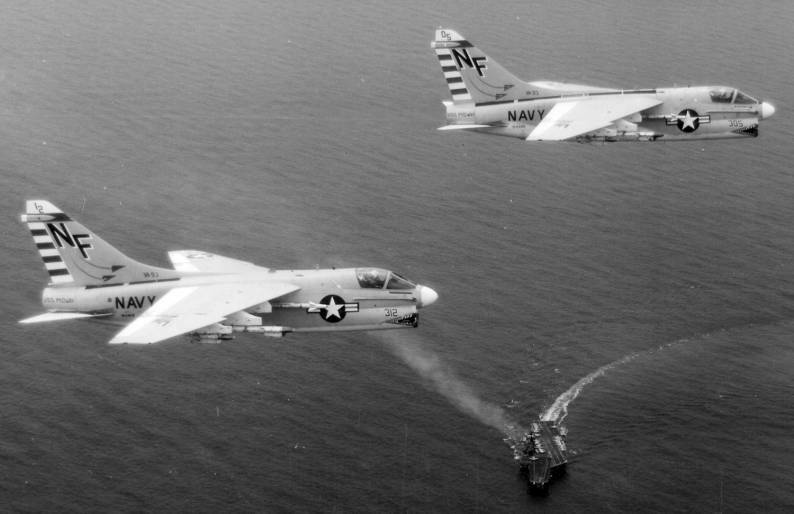 The detachment flew A-4B Skyhawks. 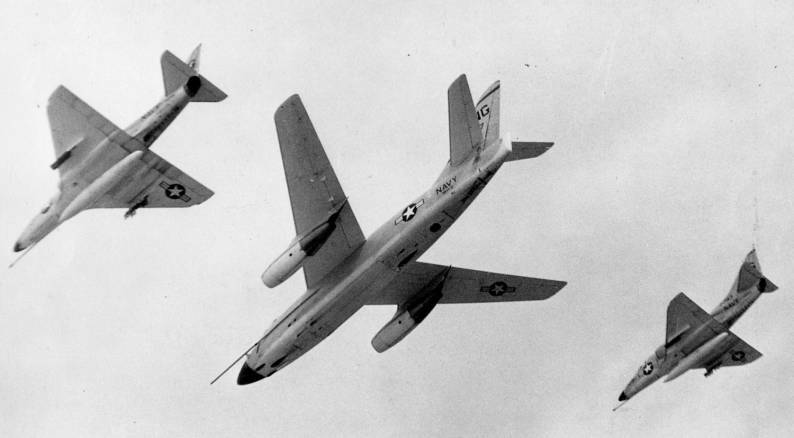 7 Feb 1965: Following a Viet Cong attack against the American advisors compound at Pleiku, South Vietnam, a reprisal strike, named Flaming Dart I, was ordered by the President. 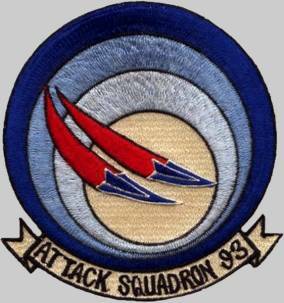 VA-93 participated in this strike, but upon reaching the target, the military barracks at Vit Thu Lu, the mission was aborted due to the weather. 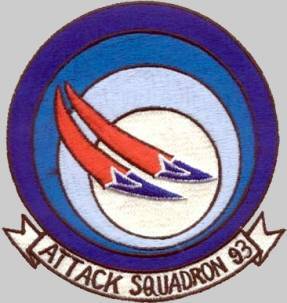 11 Feb 1965: Participated in Flaming Dart II, retaliatory strikes against the military barracks at Chanh Hoa, North Vietnam. 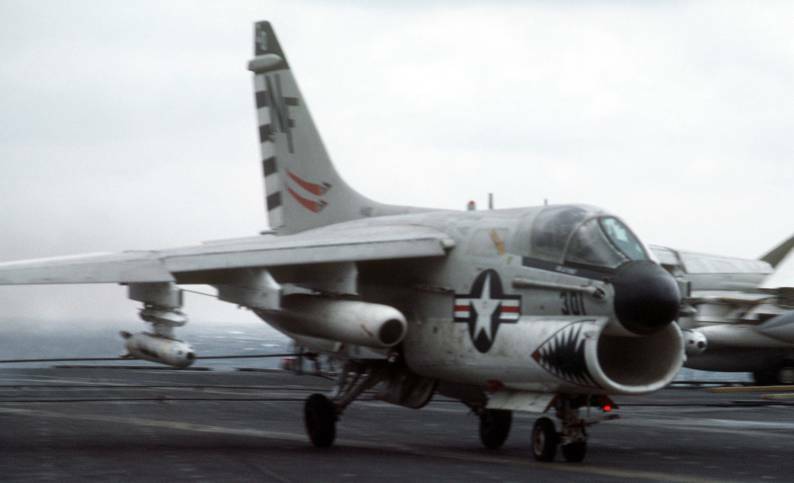 15 Mar 1965: Participated in Rolling Thunder strikes against ammunition storage area in Phu Qui, North Vietnam. 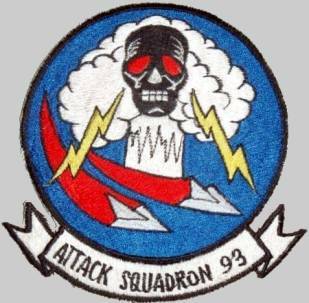 May–Oct 1972: Participated in Operation Linebacker I, heavy air strikes against targets in North Vietnam to reduce that country’s ability to continue the war effort in South Vietnam. 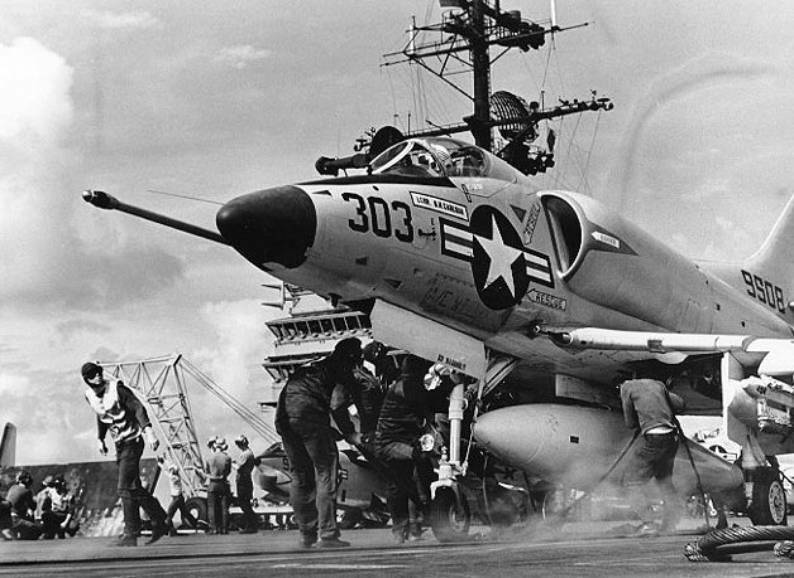 Apr 1975: Participated in Operation Frequent Wind, the evacuation of American personnel from Saigon, South Vietnam as the country fell to the communists. 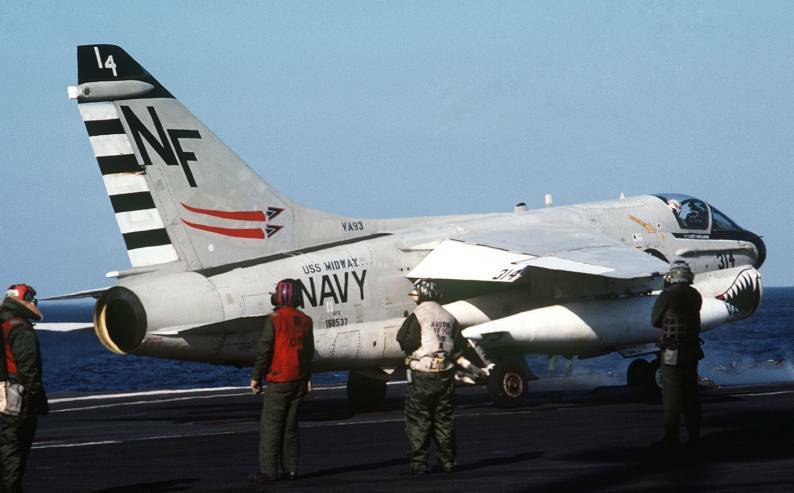 Aug–Sep 1976: Operated near the Korea Peninsula following the murder of U.S. military personnel in the Korean DMZ by North Koreans. Nov–Dec 1979: In response to the seizure of the American Embassy and its staff, by an Iranian mob, and the Soviet invasion of Afghanistan, Midway (CV 41) operated in the Arabian Sea. 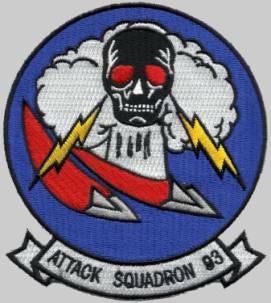 May–Jun 1980: Following the massacre of several hundred people in the city of Kwangju, South Korea, Midway operated off the coast of South Korea until the crisis had subsided. 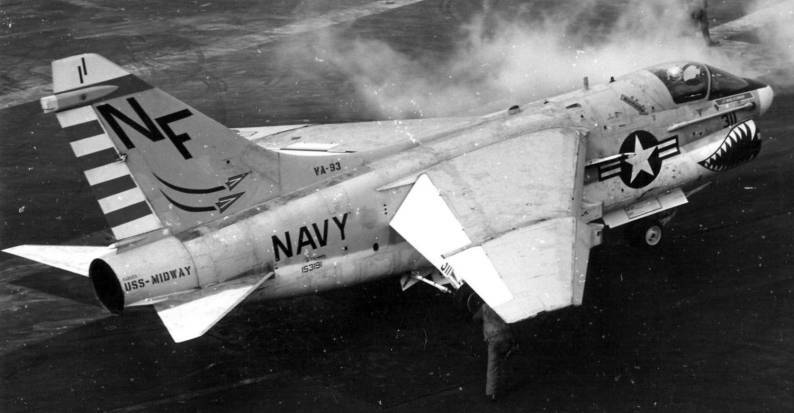 Dec 1981: Following unrest in Korea, Midway operated off the coast of South Korea for several days.